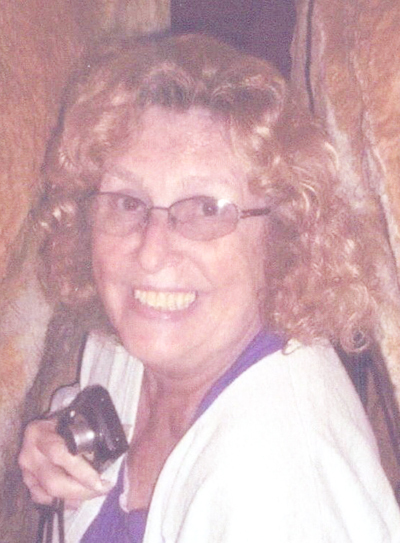 Rosemary E. Ciecierski, 71, of Lewistown, passed away at 9 p.m., Monday Sept. 10, 2018, at her home. Born Dec. 2, 1946, at Black’s Hospital, Lewistown, she was the daughter of the late Betty (Wynn) and Edward Seaholtz. In addition to her parents, she was preceded in death by her companion of 37 years, Bob Lynch, on June 25, 2018. Rosemary will be remembered and missed by: her children, Roger Ciecierski and wife, Lisa, of Mechanicsburg, Robin Ciecierski, of Lewistown, Rhonda Meyer, of Springfield, Va., Rodney Ciecierski and wife, Maria, of Cranberry; grandchildren, Drew and wife, Daris, of McAlisterville, Dereck and wife, Mackenzie, of McAlisterville, Nick and Victoria Meyer, of Springfield, Va., Ed and Marlena Ciecierski, of Cranberry and Kayla Ciecierski; and two great- grandchildren, Brooklyne, and Talon. Rosemary graduated from Lewistown High School, Class of 1964. In her early years, Rosemary worked at Pantex, Mifflin County Industrial Park, Scotty Fashions, 30 years at Sanyo-Fisher Electronics and retiring in 2015 from Wal-Mart after 19 years of service. Rosemary attended Mt. Rock Evangelical Church and later Centre Union Church. She was a Girl Scout leader in her early years and belonged to Fort Granville Grange. She also enjoyed spending time with her family, yard sales and flea markets, gardening, traveling and camping. A memorial service in loving memory of Rosemary will be held at 2 p.m., Saturday, Sept. 15, 2018, at Barr Funeral Home Inc. and Crematory, 120 Logan St., with Rev. Darvin Donahey officiating. There will be a visitation from 1 p.m. until time of service at the funeral home. In lieu of flowers, memorial contributions in Rosemary’s memory are respectfully encouraged to: Disabled American Veterans, 4219 E. Trindle Road, Camp Hill, PA 17011, American Cancer Society, 1375 Martin St., Suite 206, State College, PA 16803, or The Hundred Cat Foundation, P.O. Box 10, Centre Hall, PA 16828.